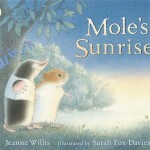 Mole’s Sunrise is a beautiful story to introduce children to blindness and the use of the senses. The Story: Mole is blind so he has never seen the sun rise. He goes with Vole to the lake and they sit with Squirrel, Rabbit and Sparrow who take it in turns to describe what is happening in the sky. Mole thanks them for ‘showing’ him the sunrise. This beautifully simple story shows how important all the senses are to a blind person. Each animal’s description of the sunrise links back to something familiar to Mole – the egg he had for breakfast, the gold button on his waistcoat or the softness of Sparrow’s feathers. 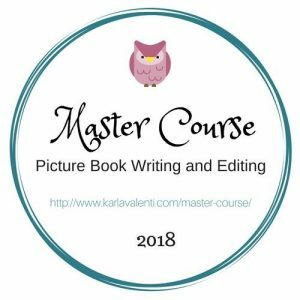 Although there is a clue to Mole’s blindness early in the story when Vole tells him to be careful not to trip it is not until the last page that the reader is specifically told that Mole is blind so it may not be immediately obvious to a child. My daughter closes her eyes to try and imagine what it is like to be blind but it is difficult for her to understand the longevity of the situation as she can see as soon as she opens her eyes again. Reading Mole’s Sunrise has given me an opportunity to introduce her to the five senses and how we use them. 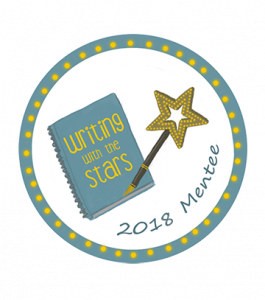 It is a short story but it includes some great learning concepts. Friendship, kindness and caring is also a dominant theme and is evident in the way that Mole’s friends help and support him. Sarah Fox-Davies’ muted, natural coloured watercolour illustrations brighten on each page as the sun rises. Despite the fact that most of the action takes place at the lake the differences in the sky maintain the reader’s interest and the final sunrise is beautiful. This book would be fantastic to use in the classroom for a topic on senses. Touch, hearing, smell and even taste are used to help Mole to experience the sunrise. 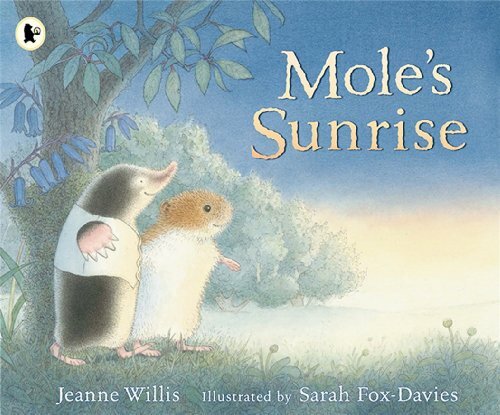 Kindness and caring for others is also very apparent in the way that Mole’s friends make the effort to include him in the experience and he is very thankful to them for ‘showing him’ the sunrise in his mind. The process of sun rising and setting is another concept that can be introduced through the story and would be a great stimulus for some sunrise artwork. I love the way that this beautifully simple story introduces several concepts to young children. The kindness that Mole’s friends demonstrate leaves you with a really warm feeling, it’s a lovely story for bedtime. This would be a great book to use in a lesson on teaching tolerance for children and adults with disabilities. It’s a perfect picture book for introducing disability, so much scope for learning. Really lovely review. 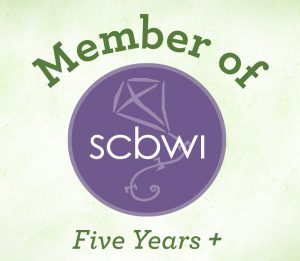 This sounds likes a wonderful and gentle book with benefits. For me this book has a definite wow factor, for several reasons. It is simply a beautiful book.